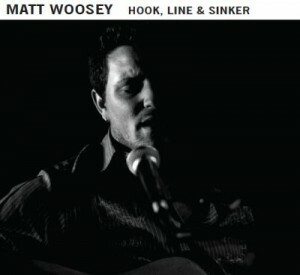 Matt Woosey is not from the Mississippi Delta. He’s not from Detroit, Chicago, St. Louis or Memphis. He is, instead, from Cornwall in the UK and was raised in Bristol. 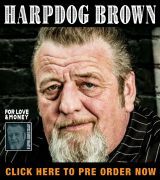 Somehow the blues of the aforementioned American locales reached this young man and like the British Blues pioneers before him, he is rearranging the Blues and reminding American audiences it doesn’t have to be formulaic and tedious. On Hook, Line and Sinker Matt is joined by Mike Hoddinott on drums and Richie Blake on bass. This recently released EP showcases Matt Woosey’s inspired songwriting and impressive acoustic guitar playing. The title track rearranges some usual blues patterns, and his words and emotive tenor draw you in with the first listen. Repeated plays reveal the intricacies of the track and the depth of Woosey’s plaintive refrains. Electrified guitars weave through the track, almost subliminally, adding tension to the percussive strumming. “Hook, Line And Sinker” is infectious and insistent and its seven minutes fly by and leave you wanting more. “Let It Flow” gets funky, with some syncopated strumming from Woosey over rousing drums by Mike Hoddinott. The lead guitars have a Latin flavor and sound harmonized. Again the attention to detail in the arrangement is evident and expertly done. The song is roughly six minutes and breaks down midway into a slow, moaning plea that is pure Delta blues belting a la Son House, over sustained guitar chords until the beat kicks back in and lets it flow one more time. “Could You Be The One?” expertly blends Woosey’s influences into a remarkable song. There’s a walking bass line, folky strummed chords, heartfelt singing, and an emphatic rock & roll drum beat. 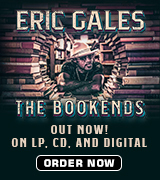 It defies categorization but holds on to its blues roots with earthy tones and jaunty shuffle. “Give Me All Your Love, Babe” has tonal choices influenced by Jimmy Page and exquisite finger picking. The dichotomy of the relationship is explored in musical passages, alternating between revved up “leaving” music and “steady-as-she-goes-please-stay” music. There’s not a wasted note in the first four songs, which makes the inclusion of the “single edit” of “Hook, Line And Sinker” superfluous. It’s nice to hear it again at the end of the disc but you know immediately it’s been hacked up for radio play. If this is the only version you’ve heard, it is still an impressive song, but it pales in comparison to the seven minute original. Hook, Line and Sinker is a tremendous introduction to this rising talent. He isn’t a straight blues player, but the blues is sewn into the fabric of his consciousness. When he sings, he emotes with the power of the greats, his guitar playing hearkens back to the barrelhouse players who could keep a bass line going with their thumbs, and his songs tell universal stories without dating themselves. This disc is a great way to sample Matt Woosey’s work and to hear something off the beaten, often-tread and re-tread path of modern blues.